Stratford Homes Tahoe | Excelsior Homes West, Inc. If you are looking for a modular cabin with a master suite loft, the Stratford Homes Tahoe is the perfect home for you! 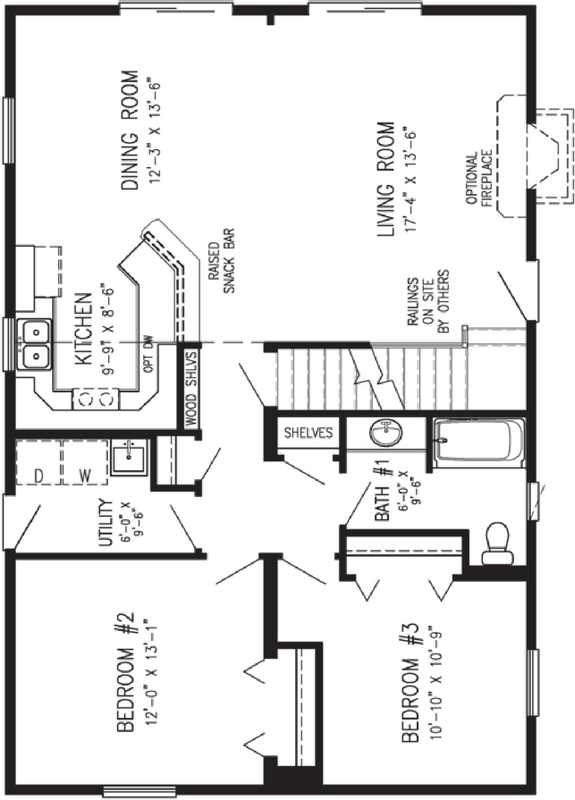 The Stratford Homes Tahoe is a three bedroom, two bathroom home with over 1700 square feet of space. This loft home is unique as it has a separate master suite on the 2nd floor. 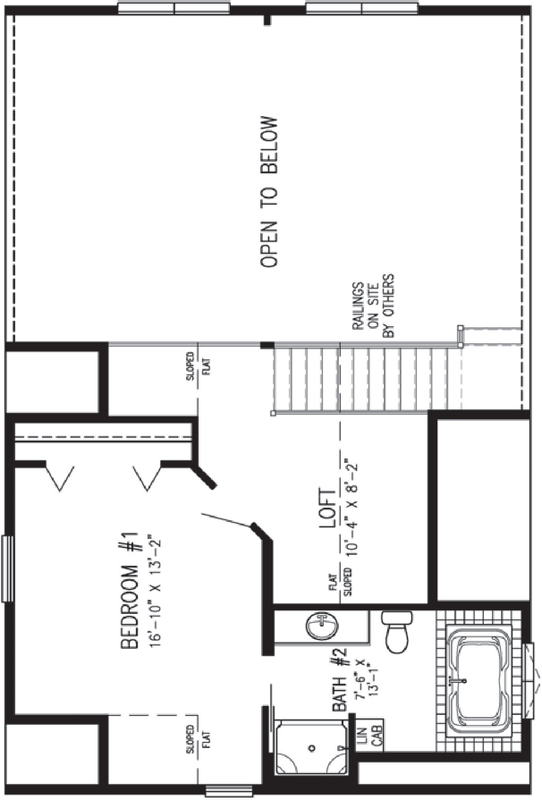 The master suite includes an open loft sitting area, plenty of closet space, and a large master bathroom. The main living area has an open concept layout with large two-story picture windows to look out over your Minnesota lake view. This home also features a utility room, two spare bedrooms, and a guest bathroom. This cabin is perfect for any Minnesota lake lot. Call us today for more information and pricing! 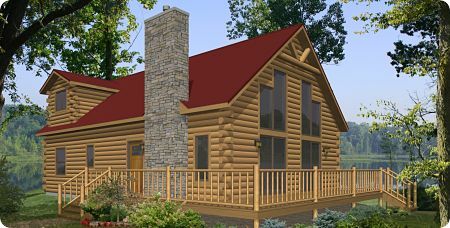 We can help you design and build your dream lake cabin! The Stratford Homes Tahoe can be customized with available options and upgrades. The Stratford Homes Tahoe, built in Stratford, WI, has options and upgrades available for customization. Choose from different materials and finishes to make this home your own–cabinetry, countertops, backsplash, flooring, etc. The options are endless when it comes to Stratford Homes! This home also has the option of adding a fireplace in the living room. Can you imagine sitting by a warm fire during chilly Minnesota nights? If this sounds like the perfect home for you, contact us today. Excelsior Homes West, Inc. can deliver homes throughout Minnesota, South Dakota, North Dakota, and beyond!